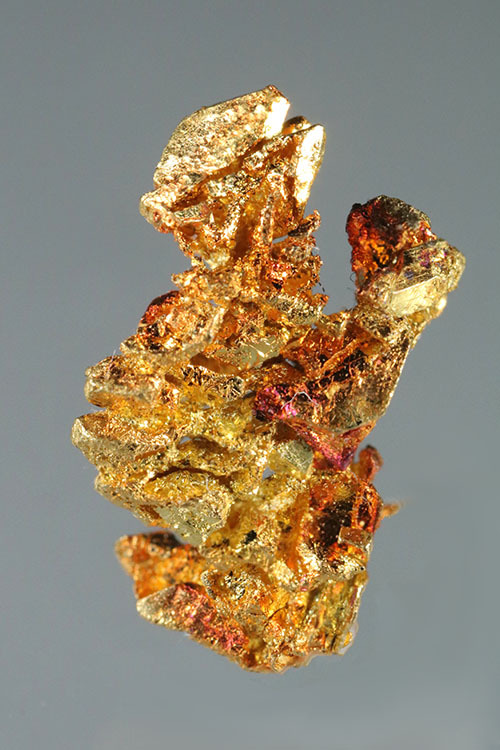 A brilliant, clean and shiny dark copper gold color. 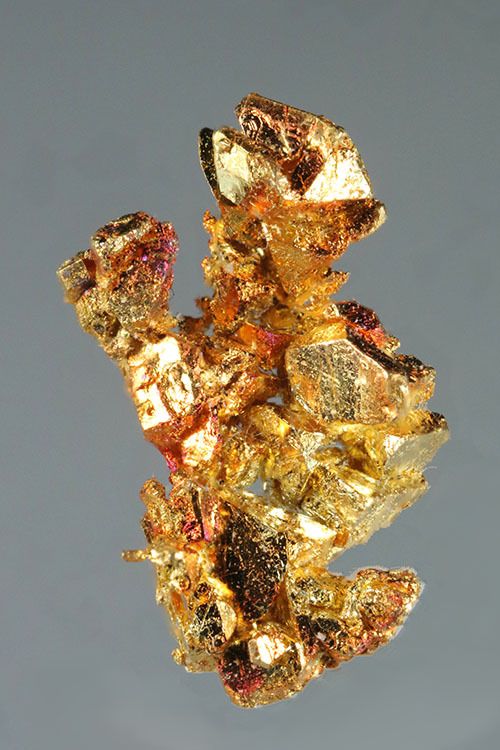 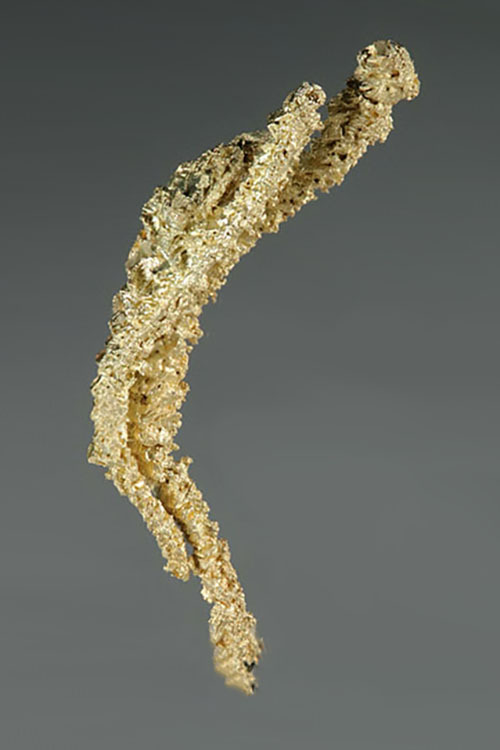 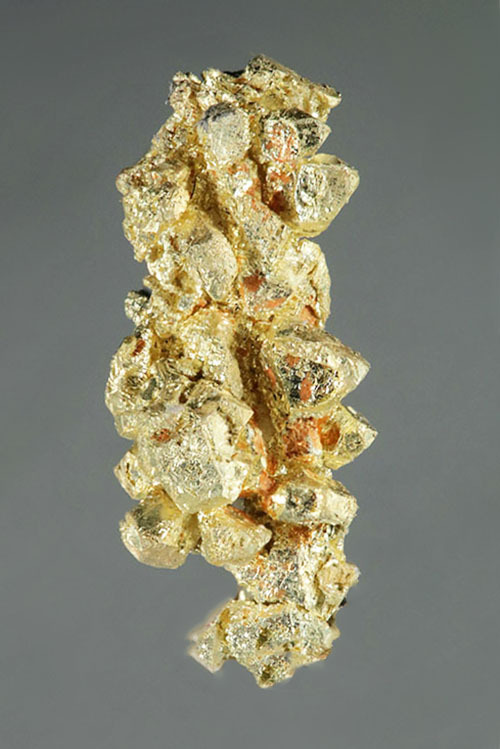 this is an interesting piece with a mass of well defined and interconnected gold crystals. 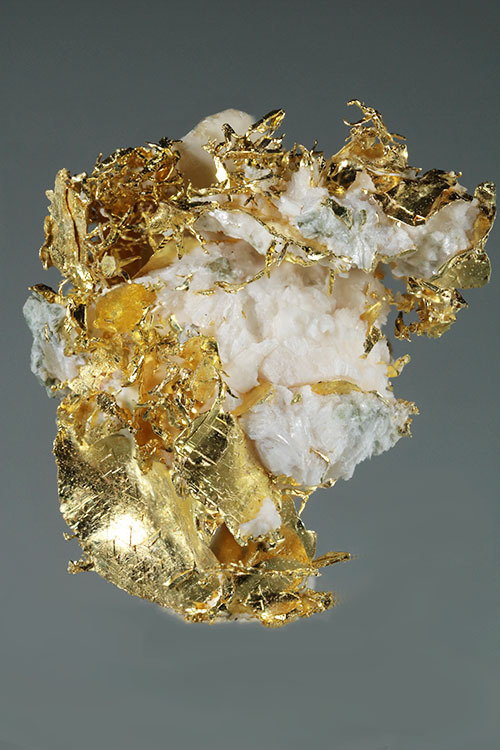 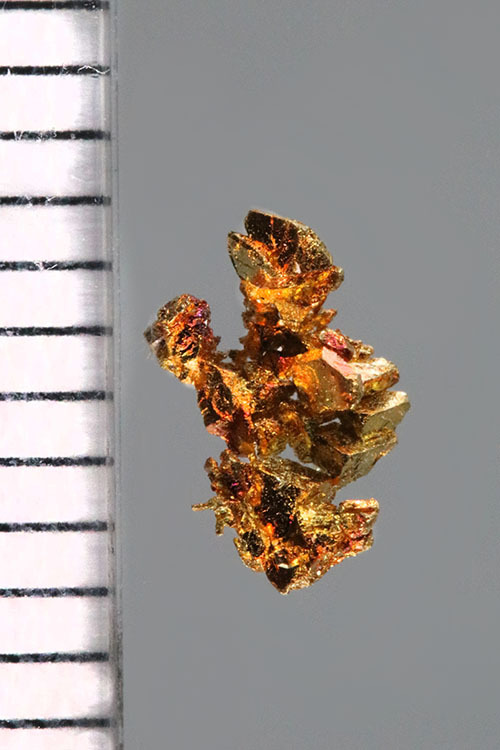 Another example of the fantastic and rare gold from Round Mountain.